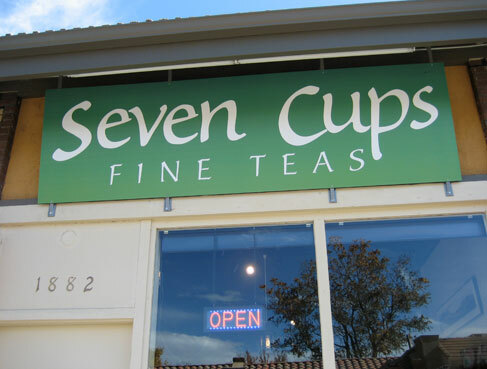 Seven Cups Tea House resides in a quiet part of Denver on South Pearl Street. Coincidence? I think not. Asian culture values the word “pearl” as something elegant, of value, perfect and pure. 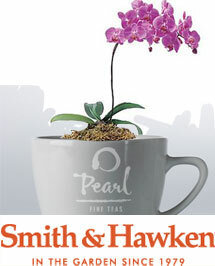 Hence the name of our very own tea company: Pearl Fine Teas. 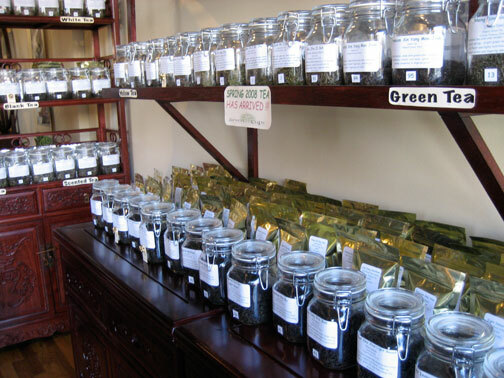 Upon entrance into the tea house, you are faced with jars of loose leaf tea to the right of the shop. 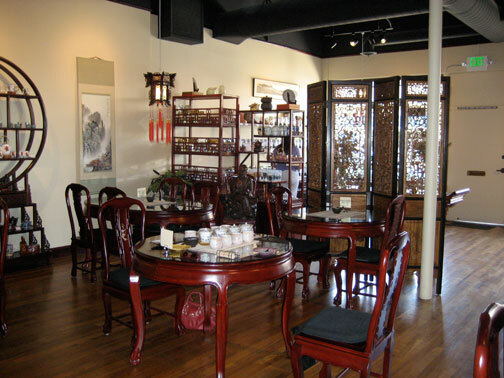 The back area has tables for sitting, tasting and sharing an traditional Asian treat. We met on a quiet Saturday morning and lined up the different teas that we (or rather I) wanted to sample. After reviewing the tea filled jars, I decide to try two teas I’ve never had, along with two that I am familiar with – treasures blend and an oolong. An Alishan to be exact. I had asked them if they had anything close to a “Milk Taste” oolong and they said the Alishan was the closest. To me it tasted nothing like a “Milk Taste” Oolong. 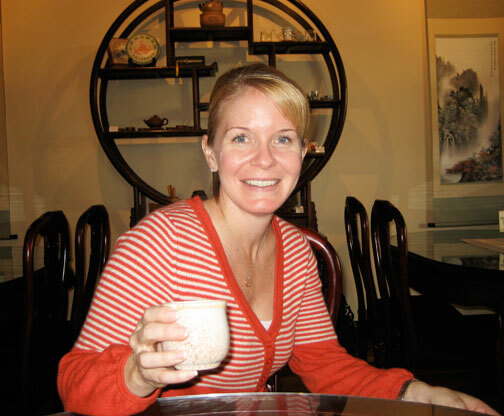 Pam had never really been to an Asian tea house, so she allowed me to lead the tasting. She was open to suggestion and it was so fun to pick and choose teas for us both to try. We were the only two in there that morning so we had the full attention of the shop manager. We began the tasting with a Meng Ding Huang Ya (Yellow Buds) Yellow Tea 2007 which I found a bit too light for my liking, although I think Pam was partial to that one. After, we sipped a Mo Gan Huang Ya (Yellow tea) Yellow Tea (Organic) 2008 which again, a bit too light for my liking but the flavor was interesting. 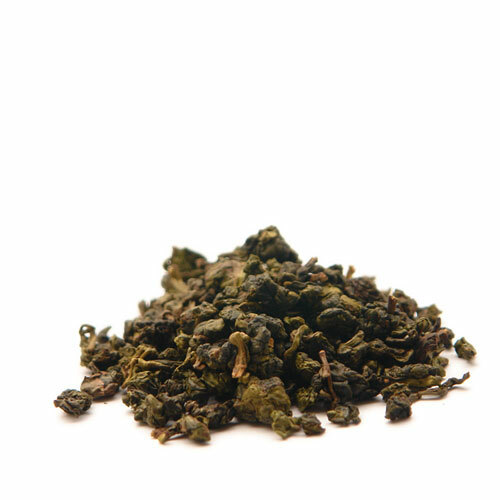 After, I moved to a Seven Treasure tea blend and the Alishan Tong Fang Mei Ren (Oriental Beauty) Taiwan Oolong 2007. 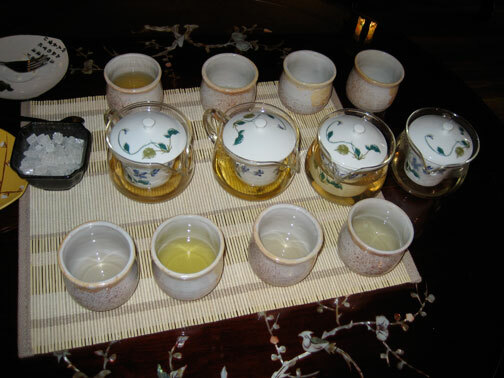 You can see from the photo to the left that the liquor color of the Alishan (4th from the left) is quite light. We had multiple infusions of each tea and I remember thinking that I liked the 2nd infusions of almost all of them. I was also very interested in their 7 Treasures Blend. I’ve had something similar here in Washington at Ching Ching Cha, but their version is called 8 Treasures and quite frankly, its a fantastic. It’s one of the tastiest tea blends they offer. Each infusion gets sweeter and sweeter. I was expecting the same from the 7 Treasures, but alas, it was not. In addition to the teas, we tried a few treats – most made with some sort of bean paste. They were “ok” but I thought that the flavor was lacking probably because they had just come out of the fridge. My expectation was that they would have been prepared that day and not quite so… cold. 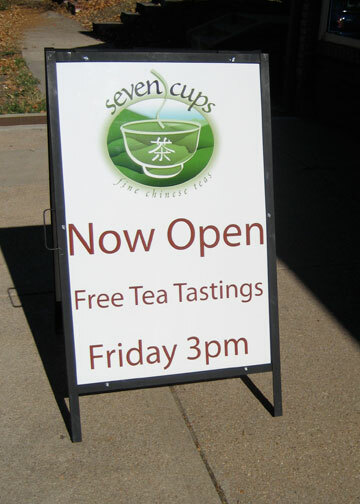 Would I venture back to Seven Cups Tea House in Denver? Probably. Mostly because I feel strongly about supporting others in tea (that alone would be a reason to visit again) but also because I think there is an interesting selection. I would however eat before going. Admittedly, my favorite spot so far in Denver is the Brown Palace. They do afternoon tea better than most! ‘Seven Cups’ is named after a very famous ancient poem about tea. Poetry, history and legend all have an important role to play in Chinese tea culture, and the Seven Cups poem is one of the traditional verses that is still recited today. It was written by Lu Tong (798-835AD) during the years of the Tang dynasty, and the theory of seven cups of tea still bears Lu Tong’s name. It was written as a response to his friend Mong, a Tang court adviser, who had sent him a parcel of tea. The first cup caresses my dry lips and throat. The second shatters the walls of my lonely sadness. With the fourth the pain of life’s grievances evaporates through my pores. The fifth relaxes my muscles and bones become light. With the sixth I find the path that leads to the immortal ancestors. As I make my way to Penglai.